So you’re ready to enlist the help of an employment staffing agency. Where do you start? 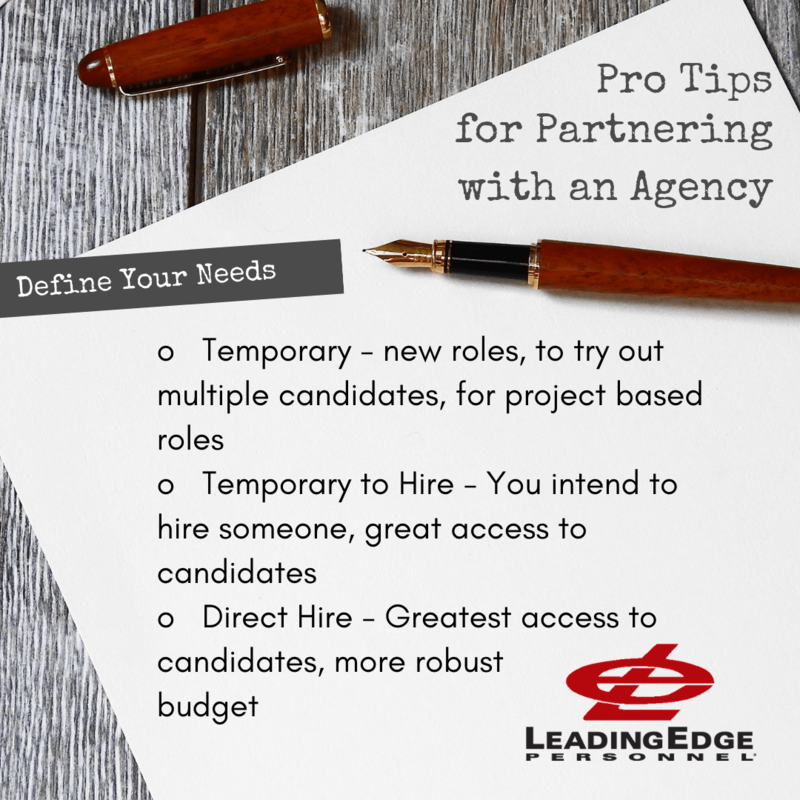 We’ll give you a quick rundown of what you need to get started with most agencies. 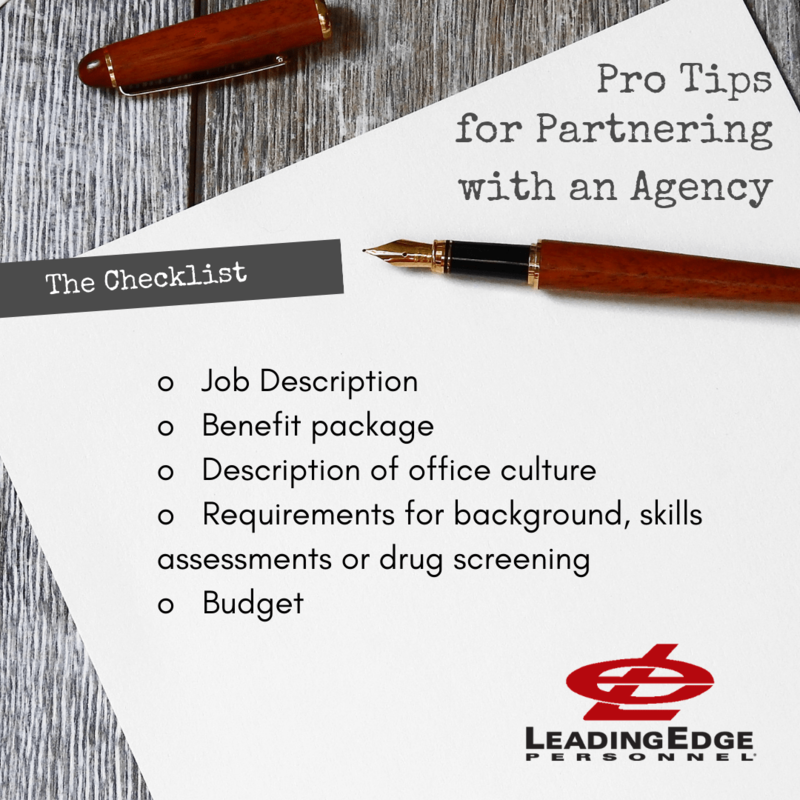 In addition, we’ll provide you with a free Employer Pro Tip Checklist & Guide for Partnering with an Agency when you subscribe to our list! Firstly, figure out what you’re looking for in the employment arrangement type. For instance, consider your needs in terms of schedule and compensation range. Do you want to hire someone directly and enlist a job staffing agency to help you? Are you looking to vet the candidate for a period of temp in a temp to hire? Think carefully about what’s needed for your position and company. If your headcount is limited for any reason or the position is to assist with a project you anticipate will end, a temporary employee is a great way to go. If you are creating a new position and still working on the details of that role or you need to try a few candidates out in a position to get a better feel for what you’re seeking, temp roles offer the flexibility and opportunity to learn more as a company as well while being respectful of the candidate experience. On the other hand, if you intend to hire someone for this role long term, you may want to consider a temp to hire employee through your employment staffing agency. By going the temp to hire route, you will likely gain access to a larger group of candidates and you will be able to try candidates out in an arrangement similar to a probationary period – without the payroll burden upfront! If you only need help sourcing or recruiting for a position and you have the room in your budget and on your team to offer benefits, you may want to consider a direct hire employee. In other words, going the direct hire route will give you the greatest access to candidates, since some do prefer a direct hire route. As a result, you’re essentially using an agency in the same way you’d use a head hunter, so you might incur somewhat higher fees. Who will my contact be through the process? Can you provide a proposal with pricing? Is your employment staffing agency an American Staffing Association (ASA) organization? How does your interview process work and does it include skills testing? In conclusion, preparing for your first call can save you valuable time and ultimately help you find the right person more quickly. 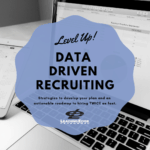 Stay tuned for more tips on using employment staffing agencies as an extension of your talent acquisition team, writing quality job descriptions, and data driven recruiting. We’re also on LinkedIn, Youtube and Pinterest! When you follow us, be sure to say hi- we’re social people, we love it when you say hi! Staffing My Team: Can’t I Do This on My Own?